Hit a home run with Dad and give him handmade baseball soap using water soluble paper and a picture of his favorite baseball payer. You won’t strike out with this one! Get everything you need to make this project here. If you have never used Water Soluble Paper, check out the Water Soluble Paper Episode on Soap Queen TV to learn the basic technique, tips and tricks. 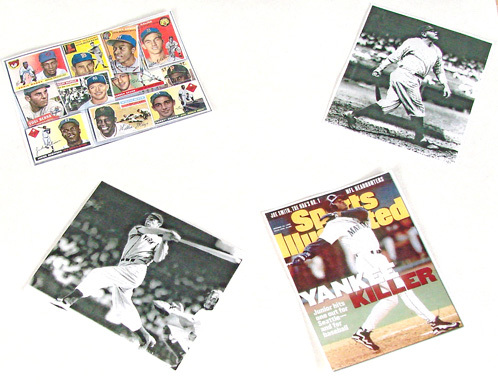 ONE: Print out 4 vintage baseball pictures on water soluble paper. Cut out the images and make sure that they will fit into the cavities of your mold. TWO: Once your images are cut out, spray them lightly with aerosol hairspray. This trick will help the colors stay vibrant once they are embedded in the soap. THREE: Melt 1 ounce of clear soap base in a microwave safe container and mix in ½ drop of liquid blue colorant to give the soap a “clear” effect. For more information on the “bluing” technique, see the Embedding episode of Soap Queen TV. FOUR: When the clear soap cools to about 130 degrees (really hot soap might dissolve the paper), pour 1/8 inch of soap into the mold. As soon as a thin skin forms on the soap, immediately add your picture to the soap, face down. Let the soap layer cool. FIVE: Melt 14 ounces of white soap base and mix in 1/2 ounce of Yuzu Fragrance Oil. Once the melted soap cools down to 125-130 degrees, spritz the first layer of soap with rubbing alcohol and pour the second layer. 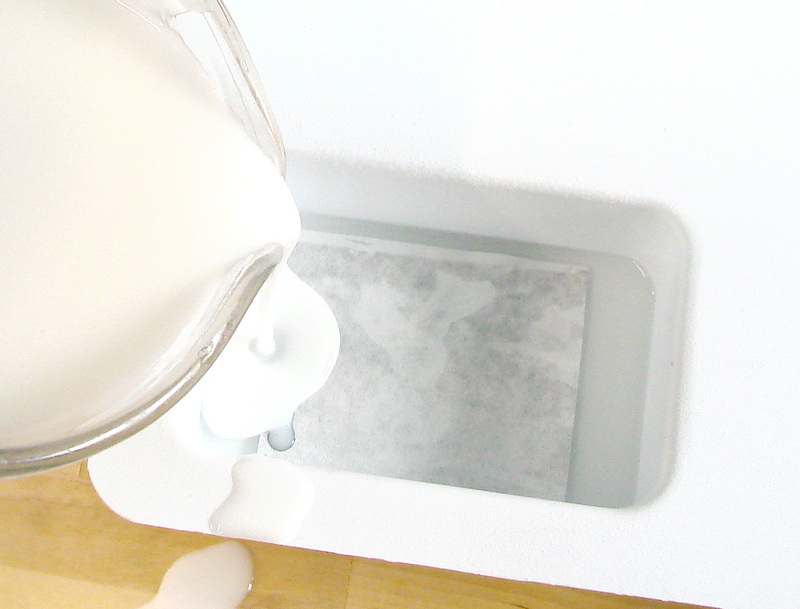 Let the soap cool for 4-6 hours and pop it out of the mold. 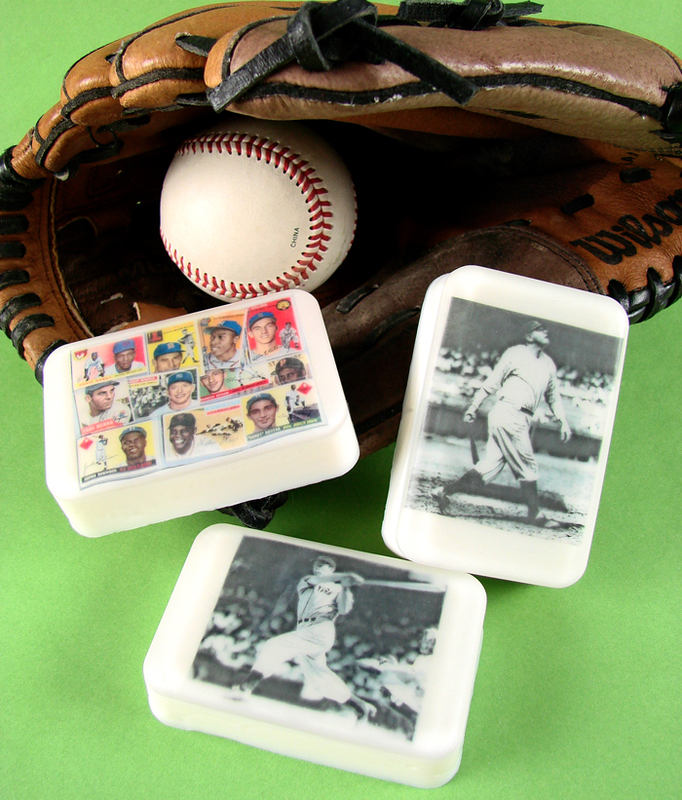 Ready to make this vintage Baseball soap project? Click here to have all of the items you need added to your Bramble Berry shopping cart. Previous Post: Join me on Martha Stewart Radio Today! WOW! That is so cool! What a great gift idea. I just clicked over from Craft Gossip and I’m so glad I did. I would love to link to this if you didn’t mind. Brilliant! That is a great idea. What a nice way to honor your school and make good money for them at the same time. Another great use of this wonderful paper (which I’ve yet to try but will! )… You just gave me a great idea. Our school is having a fundraiser Fête next year, I just thought of making soaps with the school emblem on them, and maybe something to remind people our school is going to be 110 years old the year of the Fête! 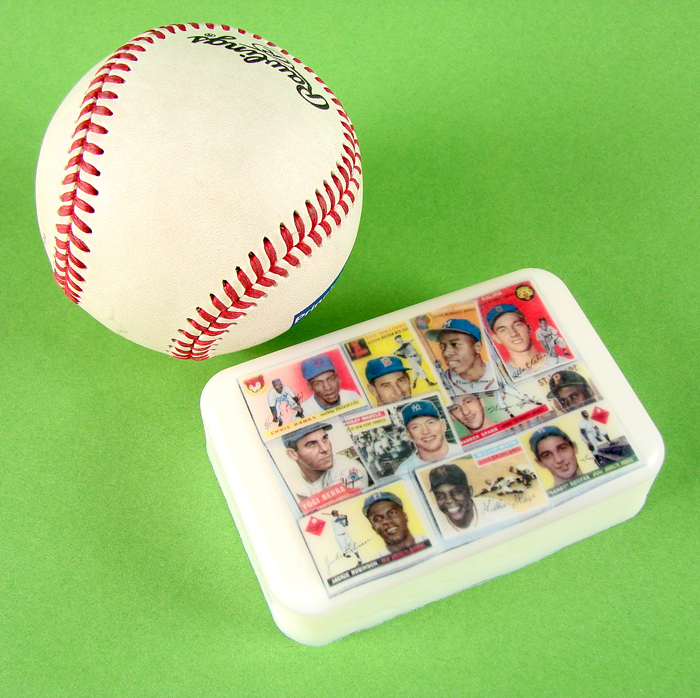 These would make great party favors for end of season little league or boys birthday parties too! You could print out old family pictures of the kids too! What a great idea! Oh I really love this project! Will this technique work with cold process soap too?